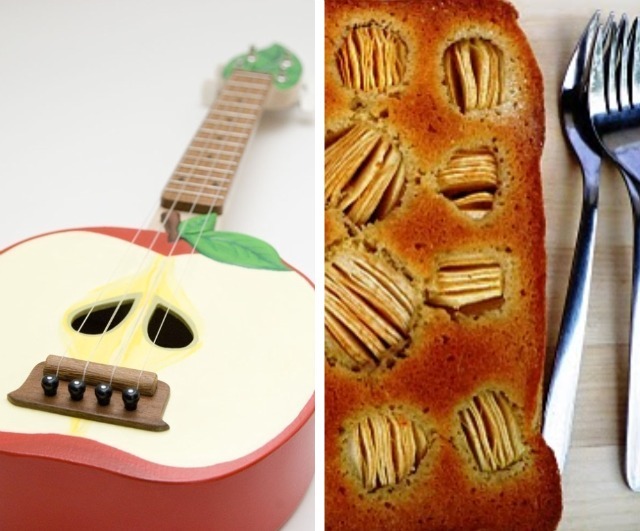 I think this apple ukulele is extremely charming and this drowning apples' cake is simply beautiful. Something about the apple uke and how much fun I could see Enzo having with it and the way that the cake screams delicious yet chaotic, much like how my life is feeling, makes me smile big. apple ukulele on your side? Either one, I promise to back you up. Ohhh that ukulele kills me! sooooo cute! Love it!! Love apples.. :) I was looking for persimmon recipes too. Do you have any that you love and want to share? I prefer them fresh, and just eat them raw, but I figure I should shake it up a bit, ya know?